When using the DMR-203 to control a 4QD series controller, the yellow connection to pin A of the 6 way connector[s] must not be used. This is because the 4QD series uses pin A is an inhibit input, whereas on all other controllers pin A is battery positive. 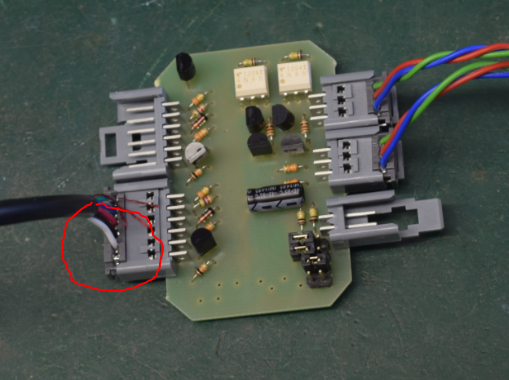 In this case the DMR is fed with power via the white wire on pin B, and there is no need to have an ignition switch connected to the 2 pin socket of the DMR. The 4QD must have an ignition switch as per its instruction manual. Depending on the transmitter trim settings it may be necessary to disable HPLO on the 4QD control board.